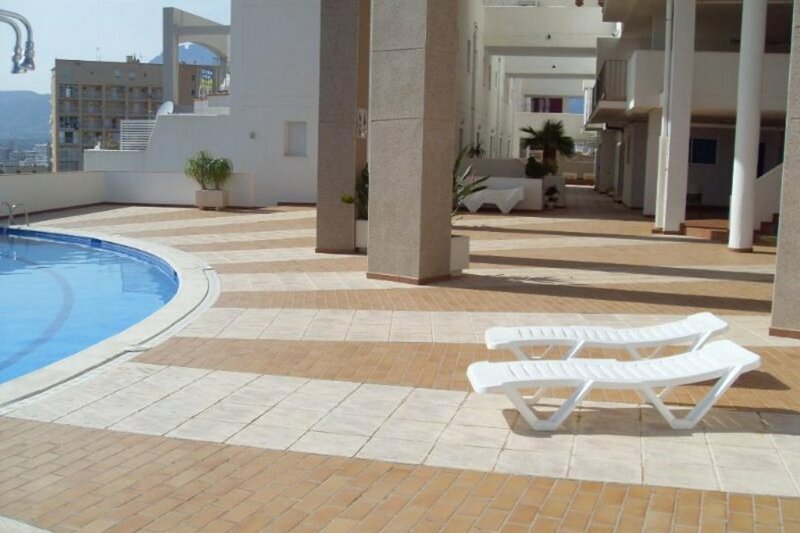 This fully air-conditioned apartment is set in a secure, quiet complex with breath taking sea views, located on the edge of lively Benidorm. It has the advantage of peaceful sun bathing days and is well equipped for a fully enjoyable stay. It has all you need with easy access to the bars and restaurants. Benidorm is a vibrant, lively resort with 4km of blue flag sandy beaches and lots of great bars and restaurants for all ages. There are over 800 bars where you will find karaoke, happy hours and 2 4 1 etc. There are plenty of family bars around the Triangle and have great entertainment for the children. The smaller bars offer very competitive prices and there are also very good comedy/tribute acts to be found around the Levente end of town. Benidorm also boasts the Terra Mittica theme park with its thrilling rides. This is well worth a visit as is The Aqualandia water park, which is a great day out for all the family. There are many smaller villages a short bus ride away for those who enjoy a more spanish enviroment; Benidorm Old Town has a host of spanish tapas bars whereas the Levante end caters more for the British visitors There is also a busy, large outdoor market which is held Sundays and Wednesdays.